Media mogul Oprah Winfrey, actor Idris Elba and singer James Blunt were among the first celebrity guests to arrive for Prince Harry's wedding to actress Meghan Markle in England Saturday morning. 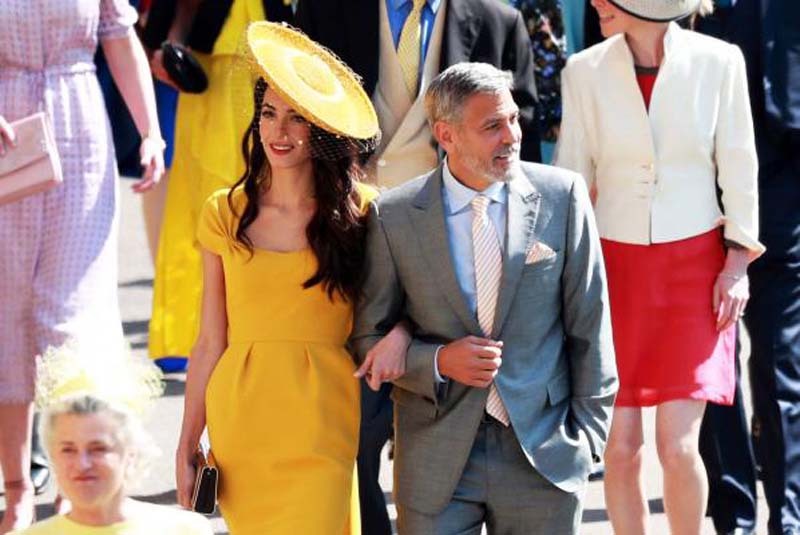 A-list couples George and Amal Clooney, and David and Victoria Beckham were among the attendees, as were actresses Priyanka Chopra and Abigail Spencer, talk-show host James Corden and Serena Williams and Alexis Ohanian. The wedding is to take place at St. George's Chapel at Windsor Castle. Harry is the grandson of Britain's Queen Elizabeth II.